KIDZ BOP connects with kids and families through its best-selling albums, music videos, consumer products and live tours. In the U.S., KIDZ BOP is the No. 1 music brand for kids, featuring today's biggest hits "sung by kids for kids." KIDZ BOP has sold over 20 million albums and generated over 2.7 billion streams since the family-friendly music brand debuted in 2001. The best-selling series has had 24 Top 10 debuts on the Billboard 200 Chart; only three artists in history'The Beatles, The Rolling Stones, and Barbra Streisand'have had more Top 10 albums. 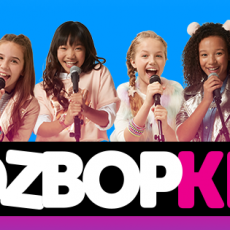 For more information, visit www.kidzbop.com.